Where do you come from and what did you study? My name is Bram van Corven and I was born 22 years ago in Tilburg, where I have also been raised. Do you remember those booklets which you had as a child and in which all of your friends wrote that they wanted to become a professional soccer player, an astronaut or a professional ballet dancer? Quite quickly I started to fill out that I wanted to become a CFO. In the fifth year of my secondary education I had the opportunity to do an accounting course at university to find out if I liked it, sooner than most other students had this opportunity. Without mentioning all the details; I chose Accounting 1: Financial Accounting. Judged by the enthusiasm Bob van den Brand brought to his lectures, I could hardly choose something else right? Notwithstanding, I did visit the open day to see if I would rather start in a law program. Accounting 1 had brought me some doubt as its course material could be quite dry at times; I missed some applications in all the theory from the lectures. In the end I discovered that law was even drier than accounting and I decided to start in the Bachelor of Business Economics. After a minor in Accounting and getting in contact with the Big-4 (and some smaller firms), I concluded that accounting is far less dull than I expected. Next to verifying the numbers, we also audit the internal control procedures of companies. In order to do this we spend a lot of time interviewing our clients and outlining a firm’s business processes. 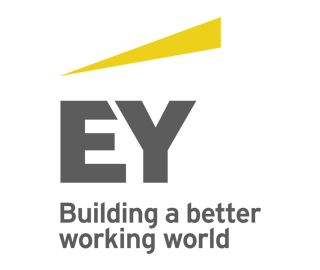 Why did you choose for EY and how did you get in touch with EY? When I finished the minor in accounting I decided that this field was sufficiently interesting to continue in it. I started to orientate myself towards the kind of office I wanted to work for: Big-4, Middle Market (BDO, Baker Tilly Berk, etc…) or small. As I participated in the Accounting and Controlling Expedition organized by Asset | Accounting & Finance I realized that the Big-4 was speaking to my mind. This was mainly caused by the professionality Big-4-offices carried out. In my leisure time I like to play soccer, so the parallel I like to make is: if I were to choose a soccer club which I need to play for, I’d rather play soccer at the absolute top. As a citizen of Tilburg I enjoy Willem II performing well, however, when I need to choose between playing soccer for Willem II or a club like Real Madrid or Barcelona (or change this to any random other European top-class club), my choice is quickly made. When this choice was made, four firms were still left: PwC, Deloitte, KPMG and EY. By participating in a variety of formal and informal activities like the Inhousedays and the Accountancy Orientation Day in the Economic Business weeks Tilburg (EBT), I found out that the combination of the informal work environment and the goal-oriented approach of EY fits best to my personality. After this conclusion I decided to do a traineeship at EY for three days by joining. When I also liked that a lot, I decided to apply for an internship with the opportunity of writing my thesis at EY. The latter is very much recommended. It more or less forces you to work on your thesis, and if you get stuck you can brainstorm with the other interns who are working on their thesis. Eventually in May I got offered to start working at EY in September of this year. However, not as an intern, but in the position of first-year staff audit. When you’re at work, what do you do and what does a normal day look like? To give an example of one typical day as an accountant is really hard. Clearly there are patterns, but the contact with clients, seniors and managers, ensures that no day is the same. In addition I should mention that an audit has two phases: the preliminary audit and the year-end audit. In the preliminary audit, as described above, you review the internal control procedures a company has implemented to make sure that information that will end up in the balance sheet is validly, accurately and completely captured. You normally do this by interviewing one or multiple employees, and consequently conducting a walk-through procedure. To give an example: in the human resource process you take a look from the beginning (start of employment) until the end (termination of employment) and everything in between (e.g. salary raises). To demonstrate that the process functions well, you can review the contract of the new employee, his first paycheck and the bank statement that shows that salary has actually been paid. What people often think is that accountants are calculating some numbers all day long, however the opposite is closer to the truth. In the year-end audit, when we audit the realized numbers, here and there we need to calculate a bit, but to give an idea; I am hardly spending 5% of my time calculating stuff. Needless to say in the year-end audit you do spend a lot of time inspecting numbers. If you have to verify the working capital, you might look at bank statements to equate the ending balance of December 31st with the opening balance of January 1st. Due to the strict deadlines by our customers, in this period it is not irregular to have days on which you work long hours. As a future accountant, therefore, one should definitely not develop a nine-to-five mentality. On the other hand it is important to free up some time for your hobbies. Myself, I like to play soccer a lot. When I want to go to practice on Monday evening I discuss this with my senior and most of the times I can leave a little earlier. Obviously, I try to help the team at EY by working a couple of extra hours on Tuesday. How would you describe the work environment and your colleagues at EY? As I mentioned above; my decision to work at EY is based on the fact that everyone interacts in a really informal way and everyone has a goal-driven approach towards performing the audit. Having said that; outside office hours now and then we have a drink that I always like a lot. The accountant that used to be seen as a nobody certainly got replaced by a social individual with an instinct for numbers. What are the primary and secondary working conditions at EY? As far as I know you get a decent starting salary. Next to this salary, as I mentioned, you get to deal with overtime. The good thing is, you can use this time to extend your summer holiday. Taking off four or five weeks is definitely no exception for me and my colleagues. Moreover, as soon as you work for EY you get a car, phone and laptop. Finally most employees want to continue studying after the Master Program in Accountancy by qualifying for a Registered Accountant (RA). EY reimburses the costs for the Post-master program. What are the possibilities for recent graduates? Recently graduated students can apply for a starter’s position at EY during or after their studies. You will enter the firm as assistant or staff, as we name it at EY. During your first week you immediately get involved in the team, which rapidly increases your learning curve. Nonetheless it is wise to open the door to EY before you start graduating. Do you have a gap year? Apply for an internship! This will give you many insights into the work of an accountant, whether that fits your personality and also how you feel about EY. Do you need to write your thesis? Apply for a thesis internship! In this way you get to know EY and you will make sure that you make progress on your thesis. Next to these things, applying for the business course, that lasts a couple of days, is another efficient and effective way to get to know EY during your study program. What are your personal ambitions and where do you see yourself in 5 years? This November I will start in the European Post Master in Accountancy (EPMA) at Tilburg University. Through this study program I want to deepen the theoretical knowledge I have in my field. Next to the theoretical part, I will also need to complete the practical side of the program internally at EY, in order to receive the RA title. I hope to finish both of these in four or five years. At work I hope to develop myself into an accountant with eye for detail and I want to become an accountant that has a clear “audit trail”, as we call it. This means that you clearly order and document the way in which you do your work, enabling the AFM to review whether you did a good job when they reassess the quality of the audit. Moreover, I am really looking forward to the moment that I can personally tutor people when I am a senior. All in all; I still have plenty of opportunities at EY to further develop myself in the following years. Yves combines his post-master Accountancy with working at KPMG. Are you curious about his experiences? Read it in this “Working At…”! In this article Dietske tells about her experiences at the Audit Team of Witlox VCS. Do you want to know more about it? Read it here!